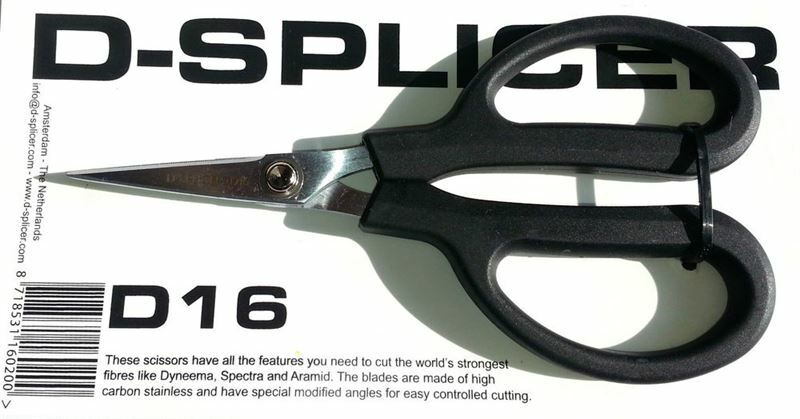 The D-16 scissors are designed for cutting strong fibres like Dyneema, Spectra and aramids. Those fibres are hard to cut with regular scissors. The blades of the D-16 scissors are laser cut, made of high carbon stainless steel and have special modified angles and grinding profile.